Clevedon Buffalo Co. mozzarella is a true cultured mozzarella. Presented in brine, the cheese is soft but resilient like a pillow, with the perfect glistening skin sealing in the sweet clean flavour. 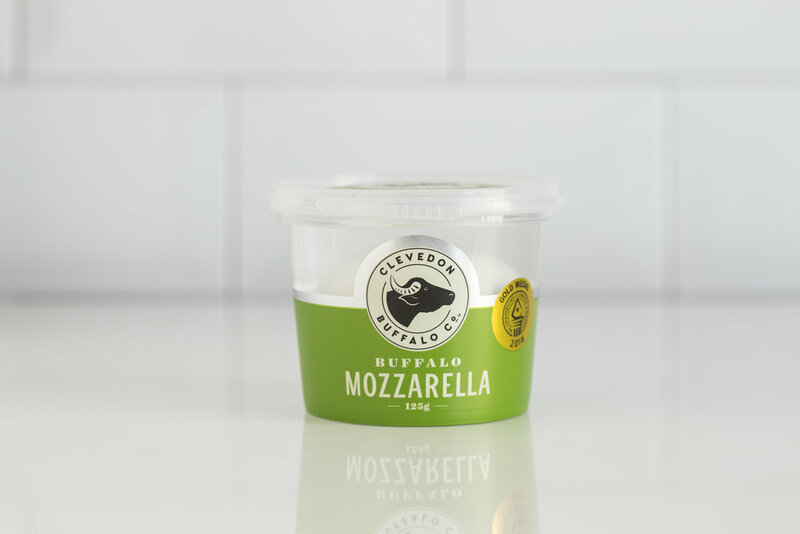 Preservative free, our mozzarella is made with fresh milk direct from our farm and is dispatched on the day it’s made. Our buffalo mozzarella has a sweet clean flavour that is unique to buffalo milk. The ball of cheese is formed perfectly, weighing not less than 125gm. Bocconcini or “small mouthfuls” is buffalo mozzarella formed into 50 gm balls. There are three balls of bocconcini to a tub.